Firstly the alarm goes off at 4:52 and I have to try and work out if the alarm clock has been fiddled with or the clock in the room. I decide the alarm has been altered and go back to bed……but not back to sleep. When it really is time to get up I go downstairs and find that there are 4 piles of cat poo on the kitchen floor. I go to let the cats out and also find a dead slug! After I’ve cleaned that up I go to get something out of the dishwasher and find I didn’t put it on last night! I had gone to do it and as I went in the kitchen the (same) cat threw up on the floor! So I have to wash up the things I need to make Sarah’s lunch. After dropping Ben and Sarah off I drive home, park the car and head to the station. I get to the cashpoint and find it’s out of order so I have to dash down the High Street to find another one. On returning to the station I find a huge queue for both the ticket office and the machines. I get my ticket with minutes to spare and dash down to the platform. The train comes in and we all get on just as the driver announces that there will be a delay as there is a fault on the line up ahead! 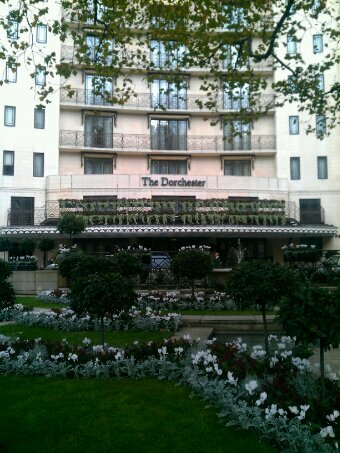 Despite all that I somehow get to the Dorchester on time! !